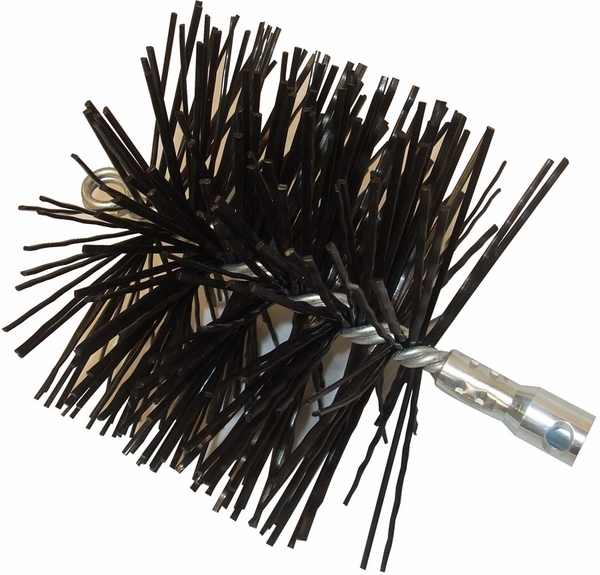 Rutland Professional Choice brush heads are durable professional grade brushes that withstand the demanding abuse encountered by busy commercial chimney sweeps. 6 Inch Diameter Round Professional Choice polypropylene brush Head with TLC Torque Lock Connector cleans chimneys more thoroughly and outperforms many higher priced brush heads. The Rutland Professional Choice round chimney brush head with a 6 inch overall diameter features a TLC-style torque lock connector. This Rutland Brush head has a has a heavy-duty double spiral 0.177 dia. spindle design. Will this 6-Inch Diameter Round Professional's Choice Polypropylene brush head fit a .440 inch pole? Per the manufacturer, the rod diameter would not be considered as the connections are all the same. So long as you have a Rutland TLC-style torque lock connector, this will work.